Looking for a summer vacation getaway with a pool where you can watch over the kids? Check out this South Luzon swimming pool guide for families. Beat the heat and plan your summer vacation early. If you want a safe body of water where you can keep an eye on your kids, then a resort or hotel with a swimming pool is perfect for you. Are you on a hunt for a quick pool dip outside of Metro Manila? Here’s a little cheat sheet of some of the famous and not-so-famous pool getaways, depending on your budget. Microtel Inn & Suites Batangas belongs to the famous chain of international hotels of Microtel, and is located in Sto. Tomas, Batangas. Despite being situated in a countryside locale this hotel offers every possible convenience you may need during your stay. Other branches are in Baguio, Boracay, Cabanatuan, Cavite, Davao, Palawan, and Tarlac. Days Hotel boasts of an American-style hotel setup that can be found in the heart of Batangas, Batangas City, a close location to ferries going to famous Puerto Galera. It has other branches in Tagaytay, Mactan-Cebu, and Iloilo. Lago de Oro Cable Ski Park & Resort is regarded as the first Wakeboard Park in the Philippines, which stands on the National Highway in Balibago, Calatagan, Batangas. Though a center for teambuilding or seminar activities, the resort is similarly perfect for families on vacation. Matabungkay Beach Resort & Hotel is located, as its name suggests, in Barangay Matabungkay, Lian, Batangas. Matabungkay is one of the prominent beach spots in Batangas that has passed through the test of time and traditions. The hotel not only provides beach and pool relaxation, but also lavish health and wellness services such as body spas. The Sanctuary Spa at Maya-Maya, along with Maya-Maya Yacht Club, Inc., its sister company, is the one that’s referred to as the closest clear water resort spa and marina to Manila, located in Barangay Natipuan, Nasugbu, Batangas. It’s been in the resort business for 34 years. Estancia Resort in Tagaytay City, Cavite could astound you with a breathtaking view of the well-known natural beauty of Taal Lake from your hotel room. Of course, this is aside from the R&R you could enjoy by their pool. Mount Sea Resort Hotel and Restaurant, found in Rosario, Cavite, promises world-class service for any family on vacation. Located in the midst of the hills, it offers two swimming pool facilities: the Waterfront pool and the Tropical pool. Water Camp Resort proudly highlights four interconnected swimming pools for water activities. It’s definitely a must for die-hard water lovers. It is located in Panamitan, Kawit, Cavite. Swimming pool’s entrance fee for adults and children over 1 year old and above is P180.00. Be sure to check out their Water Camp Privilege Membership that allows you to enjoy unlimited pool use and other discounts or freebies in the resort all year round for only P2,000. Island Cove Hotel and Leisure Park is one of the leading hotspots for business and leisure south of Metro Manila, located in Binakayan, Kawit, Cavite. Total adventure never ends in its Oceania Water Park, the Animal Island, the Island Songs KTV, the Adventure Activity Zone, the Fishing Village, and the Island Spa facilities. Day rates for the Oceania Water Park are P275 and P225, for adults and kids respectively. Caylabne Bay Resort lies in two National Parks and in a cove at Caylabne Point, Ternate, Cavite . It delivers utmost serenity and tranquility for families getting away from the metro. It has an El Patio pool side, Beach pool side, and Kiddie pool. Some of these resorts, when not stated, offer free pool use to its check-in guests, while different rates may apply to walk-in guests. Rates may also vary depending on the season of your trip. But remember, it really doesn’t matter if you spend your summers by the pool or by the beach, in a luxurious or budget-friendly resort, what matters is the experience that comes out of it. First Non-Drug Device for Treating Kids With ADHD Gets the Green Light in the U.S.
U.S. FDA granted clearance to the manufacturer to sell it as a potential treatment for kids with ADHD. Aside from watching Avengers: Endgame, what else are you planning to do this weekend? The three most common food allergens are peanuts, eggs, and cow's milk. You've officially entered the 8th month of pregnancy. One more month to go! 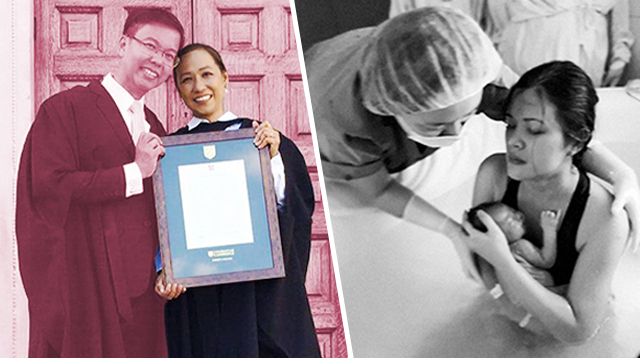 My Child Is My World, But I Am Not JUST a Mom: 8 Nanays Who Inspire Us! We celebrate Women's Month with stories of empowered Pinays.